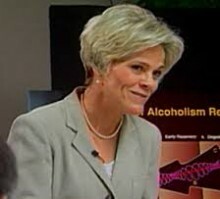 Bill White: Your work has enhanced understanding of the intergenerational nature of alcohol and other drug problems. Have you envisioned how such intergenerational cycles might finally be broken? Stephanie Brown: I think we’ve started to name and describe what happens in addicted families across generations, which is helping us understand family addiction and the complexities of family recovery. And I think we are poised to move beyond our current focus on the genetic and neurobiological influence on intergenerational transmission of addiction to include exploration of the larger psychological and social processes involved. We need more family research to understand the transmission process and the kinds of family and community support processes that can influence these cycles and positively disrupt them. We need to help families who have intergenerational vulnerabilities understand family addiction processes and integrate recovery as an integral part of the family lifestyle and identity. We will not always prevent addiction because we don’t know how to prevent it. But by intervening and supporting healthy family systems, we may someday be able to have an earlier, bigger impact on prevention. Bill White: Have you found any evidence that children in recovering families who go on to develop a problem themselves have a better prognosis for recovery? Stephanie Brown: Yes. We were so lucky to interview a number of families in which the adult children were already in their own recoveries. Their parents had entered their recoveries when these young people were still children and adolescents; we could see and hear the impact on them of experiencing recovery while they were still young and living at home. They told us they saw the path ahead. They lived out their own addictions and entered recovery at a young age. Some told us they wanted to join the recovering family now established by their parents, and they had to pursue their own individual recoveries to do so. It’s important to remember that we’re talking about small numbers of research subjects. We did see generational recovery, but we need more research and more subjects to confirm our findings. Bill White: Treatment administrators lament that they can’t provide family programming because no one’s paying for it at the present time. I’m wondering what kind of supports could be provided to families that wouldn’t be contingent upon either public or private funding? Stephanie Brown: We need to move toward community models to support families – the use of alumni on-site during active treatment, the use of alums and volunteers after treatment. The idea of volunteers is not new, but it needs to be valued, promoted, updated, and organized. I also think it would help if treatment centers could deeply understand the concept of the family as patient and build volunteer networks from this basis. Bill White: There is a lot of talk today about peer-based recovery support services, but we haven’t fully developed the idea that the peers could be families. Stephanie Brown: That’s beautifully stated, and I think it is vital. I don’t think there’s any other way for us to proceed. Therapists, such as myself and others, who are schooled in understanding recovery and understanding addiction and mental health – the integration that I represent – can come in at various points over time and as trauma issues surface that create the need for professional services, but this is a minor role in the greater scheme of looking at family recovery support over time. Bill White: That’s fascinating. You’re describing the role of the treatment professional as not the first line of support, but as the safety net. That’s a radically different view of the role of the treatment center and the private therapist. Stephanie Brown: I don’t think we’re going to proceed otherwise. For treatment centers to lead the provision of family support, they must move beyond a fixation on money and billable services and look to how family support can be mobilized in the larger community. The fee-for-service system cannot provide an adequate level of family support over the course of the family recovery process. Some of the centers now charge a modest fee for family programs, for children’s programs. I think that’s a very important and valid idea, but ways have to be found to also extend that support into the community itself. These professionals are vitally important at key points in an ongoing process. But they are parts of a bigger picture. We need to raise the value we give to peer-based and other no-fee supports. It might be helpful to think about “global recovery” in addition to local, community, and treatment center support. The internet offers enormous potential for constant support 24 hours a day anywhere in the world. I don’t advocate that online recovery support ever replace personal human contact, but the internet is a fantastic resource for broad, quick coverage – filling the vacuum that people feel at various points in their treatments and recovery. The treatment world cannot bear the costs of providing fee-for-service support over time in recovery for the individual or the family. Some centers charge a fee for family and children’s programs, which is important and necessary, but we need to think beyond fee-for-service to the notion of community recovery if we hope to understand and facilitate a long-term view of family recovery.